The winter sure does takes its toll on our roads, parking lots, and sidewalks, as well as any other asphalt surface. This pothole season, get the support you need. For over 40 years, we have been providing top quality pothole repair in Ottawa. 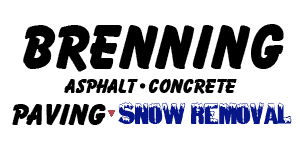 This spring, Brenning Paving and Construction is fully equipped to take care of potholes and any other seasonal damages right away! Ready to Get Rid of Some Potholes?